Sisters of Mercy Urgent Care is pleased to announce that Dr. Elizabeth T. McCarty assumes the role of medical director on June 1, 2017. 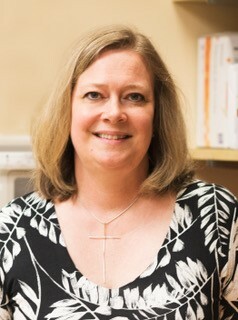 With more than 20 years of experience, Dr. McCarty has been a physician with Sisters of Mercy Urgent Care since 2009. In her role as medical director, Dr. McCarty will provide guidance for the medical professionals at all five Sisters of Mercy Urgent Care locations. Dr. McCarty will move into the position previously held by Dr. Ellen Lawson. Dr. Lawson will continue to work with Sisters of Mercy Urgent Care’s international relief work, an effort that she founded after the tragic earthquake that hit Haiti in January 2010. Dr. McCarty brings a strong foundation in emergency medicine. She is a Diplomate of the American Board of Emergency Medicine. After completing her undergraduate degree at UNC-Chapel Hill, Dr. McCarty went on to earn her MD from Brody School of Medicine at East Carolina University where she received the George Podgorny Award for achievement, excellence, and dedication in Emergency Medicine. She completed her residency in Charlotte at Carolinas Medical Center.